Hi guys, it’s been a while huh? Well, there’s a lack of things to post about, but today that changed. 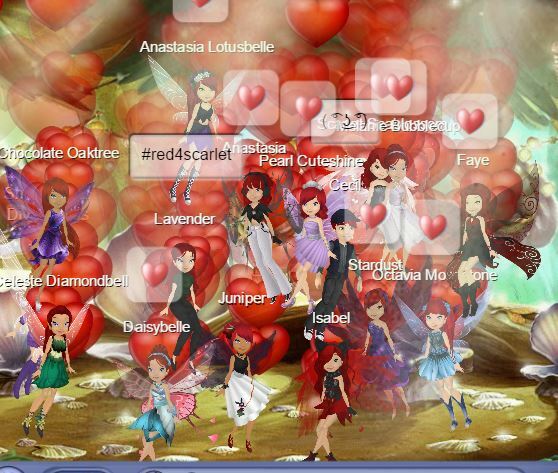 Today we prove that FairyABC is a place where we do not only make friends, but we support them as well. 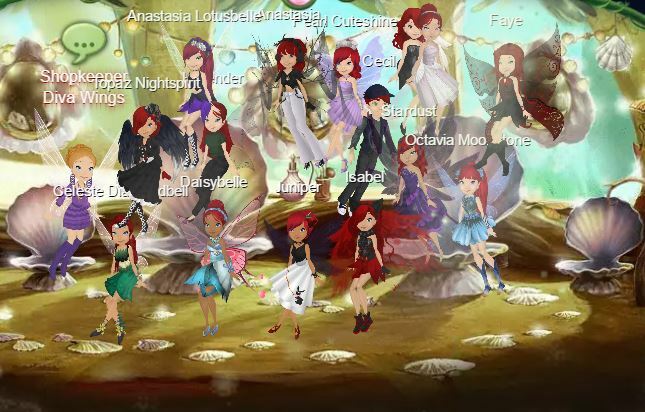 There was a thing going on and I had no idea about it until I flew to one fairy on the friends’ list to Schelly’s Hair Salon. There I asked around and they told me that a certain fairy – Scarlet Seablossom was going through a hard bit in her life, so I decided to try and cheer her up. All of us were trying, and out of our attempts an amazing thing happened. 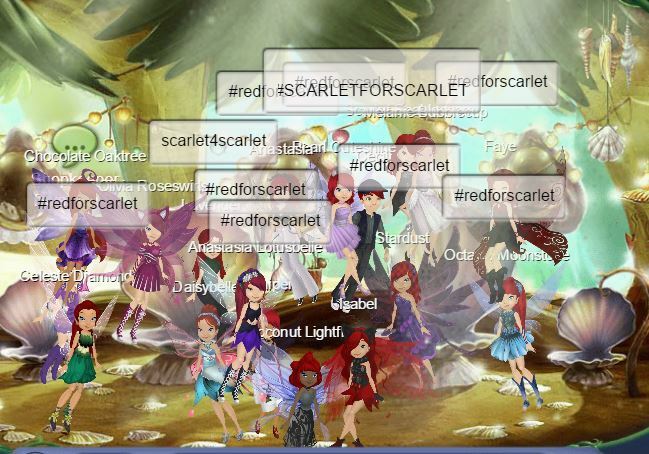 We turned our attempts of cheering ups into an amazing cause – #redforscarlet! To show her that not every part of her life is black we dyed our hair any shade of red to show our support to her and we also gave her a lot of hearts. Here, today we prove that one little gesture can change someone’s way of looking at things greatly, so I’m here today telling you – if you find yourself in a situation where someone has dark thoughts about him/herself or wishes to do harm on him/herself – do not let them. Instead, do something like this, something unique about them to remind them that they’re not alone. Scarlet, if you read this I know we’re not actually able to help you but we’re here to comfort you, to hear you complain and pour your emotions at us any time. Why you might ask…well, because we’re all your friends and we do not wish to see you do something you’d regret. This goes not just to her but to all of you out there – No matter what happens in your life remember to just hold on and never let go of what you believe in and of what you love. Also, never change for anyone sometimes not even for yourself.